Winter is coming soon in the Northeast, and well underway in some parts of the country. With over 76 inches of snow already in Jackson Hole, and Vail opening on November 17th, now's the time to start thinking about your kit. Here are a few of our favorites. With temps cooling rapidly in the Green Mountains, Stowe is primed to open (this year under Vail Resorts Management) on November 17th. 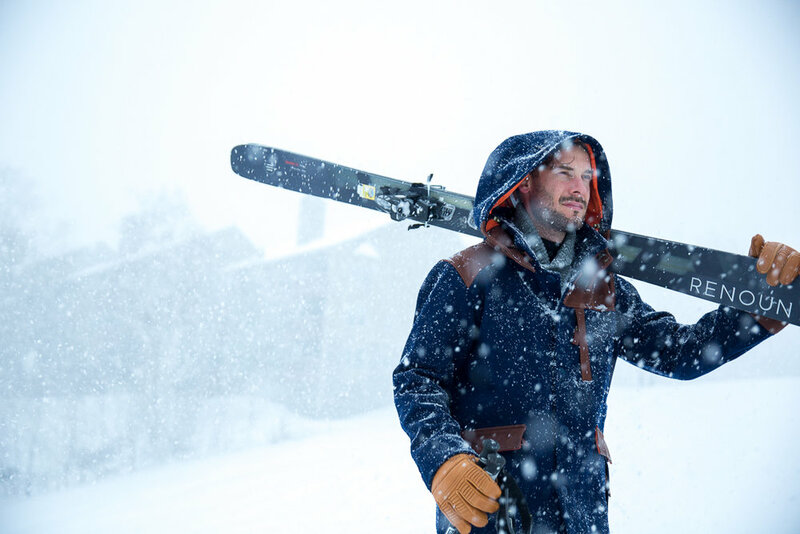 From Sunny Spruce laps to beers at Doc Ponds on The Mountain Road, the Alpine Anorak and Alpine Winter Trouser combination is well equipped to handle any variable temps the day might throw at you. Open the vents on the trouser when the day starts to warm up, and zip down the calf zippers for a tailored silhouette once you hang up your hat for the day. Raining in the village but snowing in the mountains? Our Anorak has a 10k/10k waterproof membrane to keep you warm and dry. New this season, our Alpine Combined Knit is a unique outerwear piece that combines a down-fill body with water repellent knitted sleeves and a cozy shawl collar. This piece is sure to turn heads in the Tram Line, or next to the fire at The Handle Bar. Wear it as outerwear when the temps are manageable, or as a mid-layer when the mercury drops. This lightweight piece is one of our favorites this season. Our Signature Shawl Collar Jacket just feels at home in Aspen. Ripping down Ruthie's Run or sipping champagne at the Veuve Cliquot bar, the Shawl Collar Jacket is a tailored essential sure to stand out on the slopes. With a zip in-zip out powder skirt and waterproof membrane, this piece can perform on the mountain, but looks just as handsome around town. Our newest outerwear piece, the Alpine Outrig Jacket, is inspired by a peacoat that Founder Lou Joseph saw on a skier on Mount Baker years ago. Bucking convention, the young skier cut a handsome silhouette in a style that was all his own, and the Alpine Outrig Jacket was born. Averaging a whopping 682 inches of snow annually, Mt. Baker is one of our favorite under the radar destinations, and this piece is well equipped to perform there. Featuring a wool exterior, and highly technical waterproof interior, the Alpine Outrig Jacket is a versatile and technical expression of modern alpine sportswear. Pair it with the Alpine Combined Knit when the temps are especially frigid.